Learn how to set up a hero image on your Showit site! First we need to set the canvas background image for our Hero canvas. 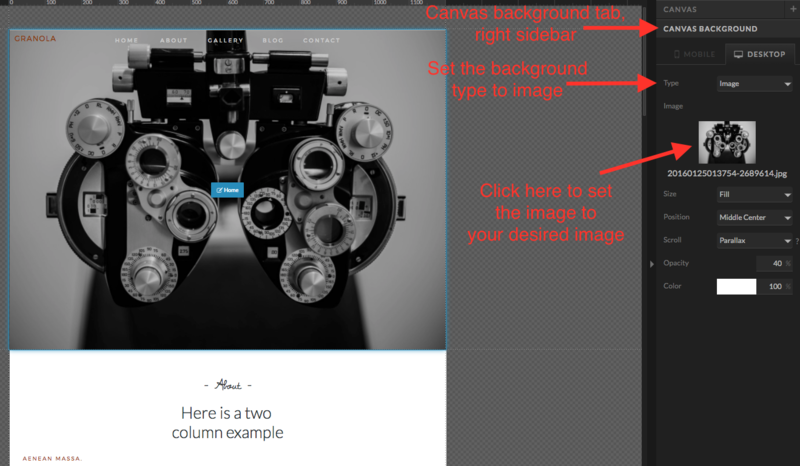 To do so go to the canvas background tab in the right sidebar, set the background type to image, and then click to set the image. Once that is finished we just need to adjust the canvas type. 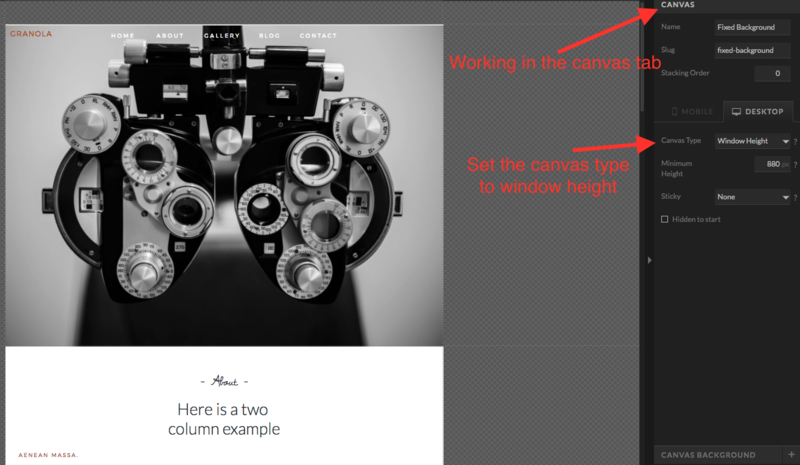 Choose the canvas tab from the right sidebar and set the canvas type to "window height." There you have it! Now you have your hero image set! Another great option to display a limited number of images in the fashion of a Hero canvas is to create a Hero gallery. Hero galleries are best used to display a small number of images, if exceeding 5-7 images you would probably want to stick with a standard gallery.